This is a topic that has been on my mind for a long time now. It started when Flash ruled the advertising world. It was very rare to see games in the banner space and I always wondered why. I always thought they were successful campaigns, especially next to ads that were fairly bland and contained cookie-cutter messaging. Every image is swappable by merely updating images in a folder. No need to do any extra coding. Go nuts. Any customizations can be done easily – like wording, the timer, points, etc. It’s total file size is 192k. So it can be used in regular ad placements. It can easily be customized for any system: Google, Sizmek or any other platform. It spits out an image of your final score, to post to social media. It can be repurposed and reskinned to look totally different each time. Playable on desktop, phones, tablets – you name it. Well, what’s the point – you may ask? Do you remember those old Orbitz Flash ads, the ones where you played mini-golf in the banner? I remember playing them at work with friends, trying to get a hole-in-one on every course. Those games were the only reason I still remember the name Orbitz, to this day. Was it the gameplay itself? Probably not, because I could have easily went to Armorgames or Kongregate and played games that were better and more involved. The mini-golf game was good, but it wasn’t a destination game, something that could easily drive traffic to a site. Absolutely not. I didn’t care for cheap travel or Orbitz in general, none of the messaging concerned me. You know what I do remember though, all the courses were in the shapes of things relative to Orbitz like the airplane in the ad above. Orbitz = travel, okay – got it. Could it have been the location of the ads? A little bit. I don’t remember any of the sites where these ads were placed. The game placement meant nothing for the site itself, there was no connection whatsoever because it was merely an ad. However, location was everything – if that makes sense. Making the game viewable at random, on a random site, helped its cause. It was being placed in an arena where anyone could access it, whether you like games or not. So what made it successful in keeping my interest after all this time? It was a solid mix of everything. First, would I have noticed the game if it was on a gaming site? Nope. The fact that it was simply placed in front of me, while browsing for something else, made it interesting. It was like seeing flowers in a sea of grass, it stood out. It had no competition from other games, so therefore it was simply the best game on the page. Second, the gameplay was simple, short and concise. The whole game took about 2 mintues to complete. Would I have played the same game if it took an hour to complete, probably not. It was a happy little escape from my searching. While it only held my attention for a couple minutes, it still held my attention. Plus, I was able to move on without any feeling I needed to finish the game. That’s a huge win. The last and most important aspect is that it drilled it’s content into my brain, without force. Most ads now-a-days are clickbait. They make you feel as though you need to go somewhere else to explain what they want to tell you. The mini-golf game had subtle hints sprinkled throughout it. The courses were all in the theme of the business, the branding was un-obtrusive and didn’t take away from the game, and I didn’t feel pressured to click through to a site for any reason. Playing it over and over again, those things slowly crept into my sub-conscious. It was like seeing the same billboard while driving to work every day, you just start to remember it. Its hard to determine what reception these sort of ads would garnish in the online banner space, it’s a different setting now – compared to the days of Flash. 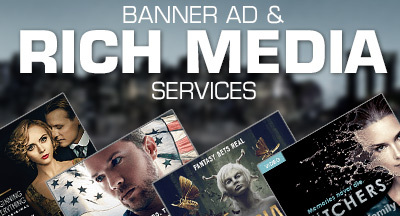 There’s really no hurt in developing games and pushing the envelope to create better banner ads. Perhaps someday, it might be commonplace to turn your ad-blocker off to see what kind of creative ideas are coming from the ads. However – until that time comes, we’re basically stuck going through the motions.